Recently, I have been given quite a few reports about children on my caseload which have been written by other professionals – Occupational Therapists, Educational Psychologists and Specialist Dyslexia Teachers for example. It’s always really useful to read these to get a better picture of a child and incorporate ideas and suggestions into my own work with them. Reading other people’s reports does make me think about my own report writing though. Is what I write easy for other people to understand and does it clearly summarize the information I have and the child’s strengths and areas of difficulty? We wrote a series of posts a while back about understanding your child’s speech and language therapy report – you can read these here (I’ve linked to the last one of the series as it links back to all the other parts if you want to read them). Hopefully these are useful, but I think there are probably many other things that can be puzzling. The thing I can find most difficult to understand in other professionals’ reports can be assessment results. They usually explain them within the rest of the report which is great, but I sometimes find myself wondering what exactly the child was asked to do. So, I thought some people might find the same information useful about our assessments – what was the child asked to do and why? First of all, a word about formal assessments. They are very prescriptive in the way they have to be administered – the exact rules vary from assessment to assessment but they can only be carried out by people with certain qualifications, you have to start at a certain point and there are strict rules about when to stop testing. There are also rules about whether you can repeat questions or help the child in any way. The reason for the rules is so that the scores that they give are meaningful. We have to be certain that the questions were presented in exactly the same way to everyone, otherwise it would be impossible to determine an “average range” of scores. So sometimes when we’re carrying out formal assessments, we can look like we’re being really unhelpful to the child, or keeping going long after it’s obvious that they are struggling, but it’s because we have to follow the rules. That doesn’t mean we can’t be encouraging and give breaks between sub-tests and generally be nice, child-friendly people (! ), but it does mean that we can’t always ask again or stop when the child’s concentration is wearing thin! It hasn’t stopped me from carrying out a formal assessment under a table before now though, or letting a child play Hungry Hippos on my iPad between sub-tests or with one child, letting him stand up for most of the assessment, fidgeting, chewing on his jumper and wandering around the table between questions! Another thing – most of the sub-tests are designed to assess children across quite a wide age range. So if you’re watching a speech and language therapist carry out an assessment with a child, be aware that they are not expecting your child to be able to answer every single question correctly. Even if a child scores way above average, they will still have been asked questions that they are unable to answer – that’s the way assessments work. If a child is school-age in the UK, probably the most likely assessment for a speech and language therapist to have carried out is a CELF-4 (Clinical Evaluation of Language Fundamentals). This has many different parts (sub-tests) and a therapist may carry out all sorts of different combinations of these depending on the age of the child and what the concerns are. There are some sub-tests I love and others that I really don’t, but I use them all at different times for different purposes. I’ll explain a few of these sub-tests today and others another day – it’s not the most thrilling of topics and I’d send you all to sleep if I went through every single one today! This sub-test can be LOOONG! On each page there is a series of pictures and the child is asked to point to a picture or pictures. The instructions start short and simple (eg “Point to the red tree”) and become longer and more complicated (eg “point to the blue bus after you point to the third big hat”) NB All my examples throughout are made up, but are similar to the sorts of things that are asked. Again there is a picture or series of pictures on each page. This time the tester starts off the sentence and the child has to try and finish it. The aim is to elicit particular grammatical structures each time – eg a past tense verb (such as “jumped” or “sat), or a pronoun (such as “him” or “her”). So for example, there might be a picture of a house on the left hand side of the page and a row of houses on the right hand side. The therapist would say “here is one house. Here are two…” and the child has to complete the sentence. I think this is one of the clearest from its title. 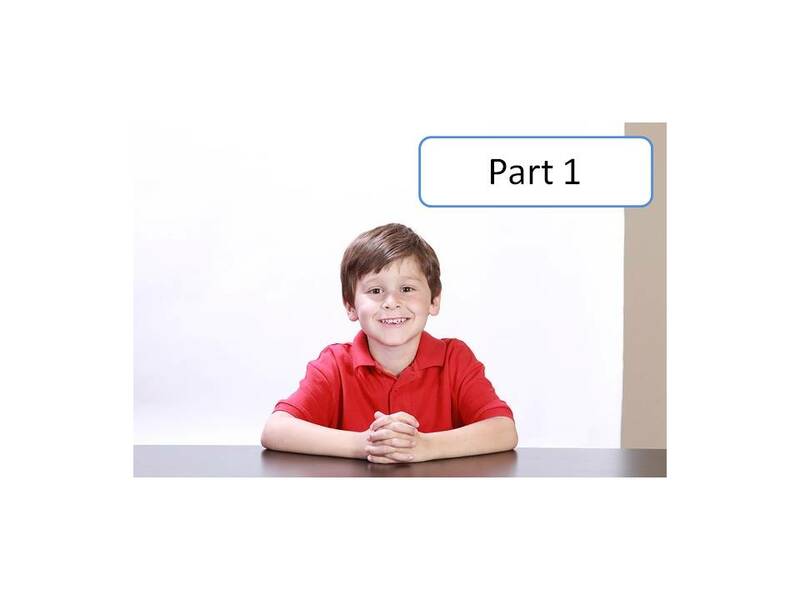 The therapist says a sentence and the child has to repeat exactly what they heard. It’s as simple as that. Except it’s not simple at all – these are really hard towards the end. While learning how to carry out these assessments at university, we tested them on one another and I remember making quite a few mistakes! This is my favourite CELF-4 sub-test as it tells me so much about a child’s language! Here the child is shown a big picture on each page of a scene with various things happening. Then they are told a word and then asked to put that word into a sentence to describe what’s happening in the picture. So for example, the child might be shown a picture of various people on a beach, and asked to put the word “sand” into a sentence. So a child might say “the people are lying on the sand sunbathing” or “sand is yellow” or “baby eat sand” or all sorts of other things. As with all of the sub-tests they start quite easy (like my sand example) and get harder – so towards the end the words are more like “meanwhile” or “since”. I think that’s probably enough for one day! I’ll talk about the other few sub-tests another day. You can read the second part of this post here. Really great explanations I’m always trying to explain succinctly what the different aspects of the CELF mean. Glad you found it useful. It’s something I spend a lot of time doing too! Hi my son was assessed using celf 4 and the therapist gave him a score of 0.4 percentile of achievement. He has asd. This score seems very low and I’m desperately looking for some sort of guide for the scoring. Could you help me please? Hi. A percentile rank of 50 is average but there are a range of scores within the average range. A percentile rank of 0.4 is a very low score – this means that out of 100 children his age, his score would be the lowest. Obviously this is not nice to hear, but do bear a few things in mind. Firstly, low scores can be very useful for getting your child any help they might need. Secondly, assessment scores are always only a snapshot of a child on a particular day. Some children with ASD in particular don’t do well in the assessment situation but can do better in certain real-life situations. As this blog-post explains, assessments have to be carried out in very particular ways and this doesn’t suit every child. Also, lots of things can affect individual scores – mood, motivation etc. Finally, it depends what this score is for – one sub-test or the whole CELF? Do compare this score with any others to get a full picture. Obviously I can’t tell you if any of this is true for your child, but do discuss some of these points with your child’s therapist. I do encourage you to call them and ask them to talk the scores through with you and the implications for your child. Good luck. My daughter is almost at the end of the same assessment. She’s a aac user & has to type her answers which does make the assessment longer & Im not sure it will give an an accurate score. Lots of factors can affect the scores. There are other assessments out there, maybe this one was not best suited for your son. You know him best & what he’s capable of. Don’t accept this assessment if you feel it wasn’t right for your son. Hi could you use the core language score with older children (secondary age)? Just wondering whether the concepts and following directions would be necessary? Hi. There are different core subtests for different ages. The CELF-4 as an assessment can be used with secondary age and to get a full score you do need to do Concepts and Directions (you start at different points for different ages). However, a therapist would not necessarily administer all sub-tests of all assessments – it depends on the needs of the child.